Master the deployment and usage of Citrix Application Delivery Management with this two-day management and optimization course. You'll gain the skills needed to automate and manage network services for scale out of application architectures, and to optimize Citrix ADC-managed application delivery traffic. 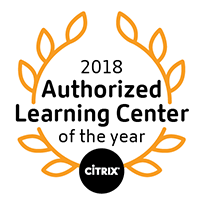 The curriculum focuses on centrally managing multiple Citrix ADC platforms, orchestrating configuration changes, reporting on transactions, visualizing infrastructure and planning infrastructure expansion. You will also learn how to implement Citrix ADC features, including caching, frontend optimization, Citrix ADC web logging and TCP/HTTP optimization, to optimize traffic managed by your Citrix networking environment. This course is designed for students with previous Citrix ADC experience, and best suited for individuals who will be deploying Citrix Application Delivery Management to administer a Citrix Networking environment or optimize Citrix ADC-managed application delivery traffic.